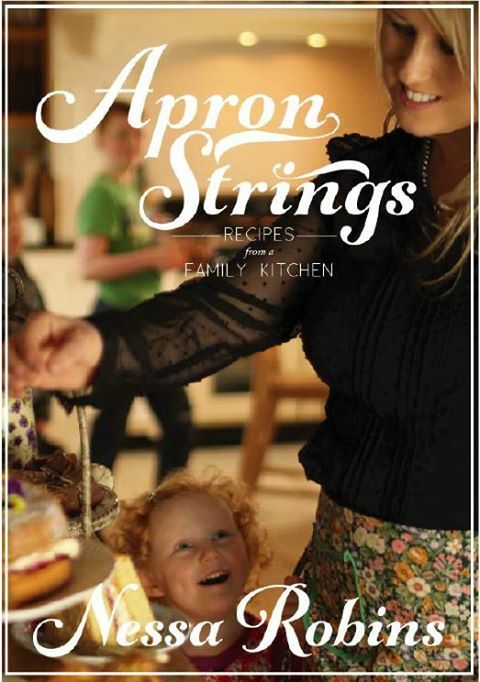 Nessa Robins, a fellow Irish food blogger, has just launched her cookery book ‘Apron Strings’ with the byline of ‘Recipes from a family kitchen.’ Here is very honest writing and robust home-cooking. With a cover that is inviting you into the heart of her home to sit around the table and share precious time with her family, you slip inside and find yourself at ease. A book that you can dig into at your leisure with each time you visit it you will find something new, eventually realising that a huge amount of work has gone into Apron Strings. There are recipes here to please everyone and for a midweek family meal I chose to cook up Nessa’s ‘Chorizo, Bean & Pasta Soup.’ As Nessa herself says in the opening ‘Housekeeper’s Cut’ section of the book : ‘Often the leftovers from a meal can taste better the next day’ and that holds true for this dish. While deliciously tasty day one, my husband was raving about how it tasted re-heated day 2, I think the chorizo must like the extra time to bequeath its flavour even more. Cut the chorizo into chunks and fry over a low/medium heat in a large saucepan for a couple of minutes until its oil has begun to be released. 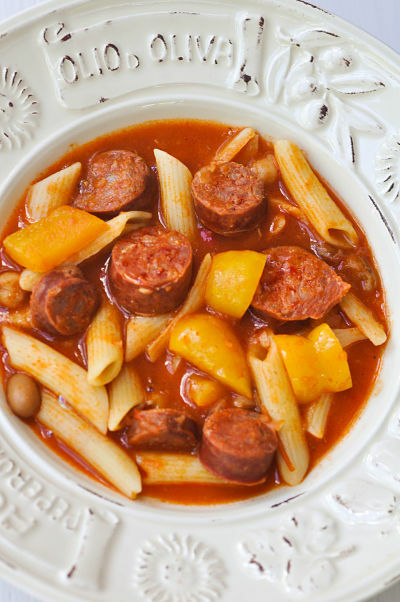 Remove the chorizo pieces from the saucepan and set aside on a plate. Peel and finely chop the onion, crush the garlic and add to the pan. Peel and dice the carrot and add to the onions. Allow the onion and carrot to gently cook for a couple of minutes. Add the chopped red chilli, ½ tsp cumin and 1 tsp paprika, stir to combine and leave to toast the spices for a minute or two. Deseed and chop the pepper and add to the pan along with tomato puree, tinned chopped tomatoes, vegetable stock and mixed beans. Add in the cooked pasta and the chorizo chunks to heat through for a couple of minutes before serving. 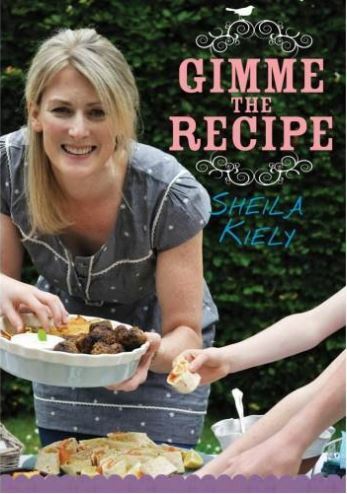 Thank you so much Sheila, for your lovely review. 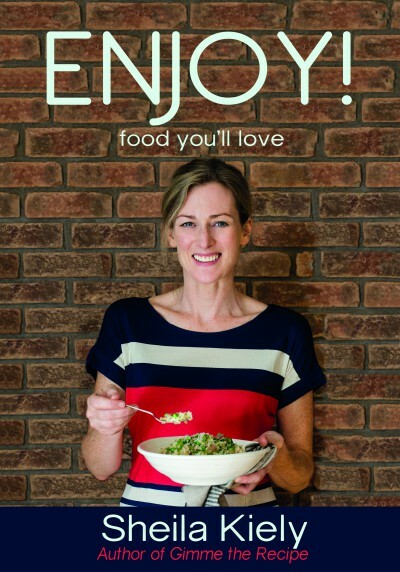 I’m delighted that you like the book. That soup is one I regularly make when I’ve little in the press. Hopefully we’ll get to meet-up over the summer!